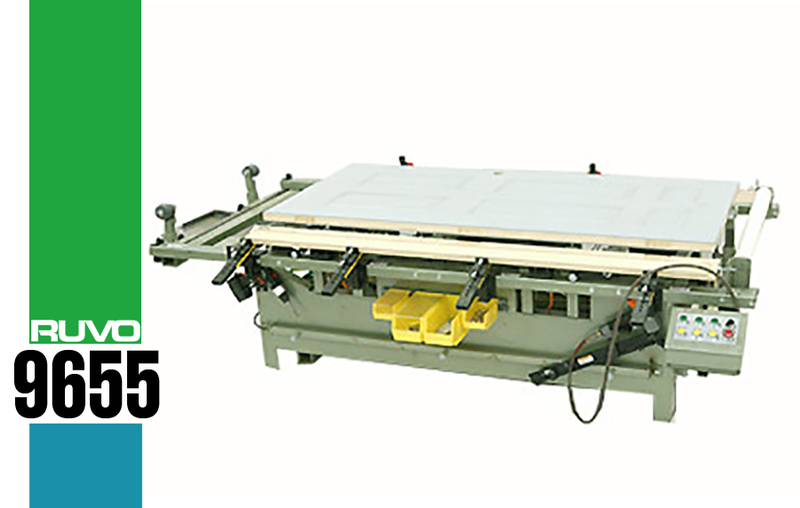 The RUVO 9655 Exterior Assembly Table provides a fast and accurate method of assembling both side jambs and headers into a pre-hung unit. The machine is fitted with seven door positioning cylinders and a top guide to assure all components are square and rigid. Change over from a right-to-left-hand door with a simple switch. The 9655 also comes with a full length machine manifold for numerous gun capabilities. The entire operation is run by three buttons. It is a full “Flow Through” operation with rollers on the end of the machine for easy removal.